Hiring a caregiver for 24 hour or live in home care is the choice for families looking for a comprehensive, cost effective alternative to a nursing home or assisted living facility. A live in caregiver from a quality home care agency eliminates the emotional strain associated with moving away from the familiarity and comfort of home, which often leads to physical decline, further loss of independence and diminished quality of life. 24 hour and live in care allows your aging loved one to retain independence by living at home or near family members, making it a great choice for elderly or respite care. Who can benefit from 24 hour live in home care? 24 hour live in home care assistance is especially useful for anyone with Alzheimer’s disease or memory conditions that may cause them to wander. It is also beneficial for a person who is a fall risk at night when getting up to use the restroom or is generally frail when moving about. If someone is not able to respond to an emergency and would need assistance, the presence of a live in caregiver is needed for both safety as well as comfort. 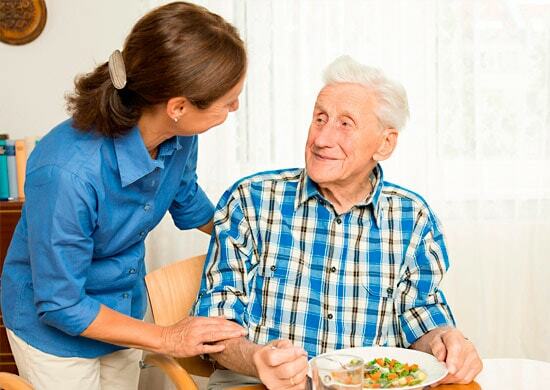 Live in home care assistance is necessary for any bedbound person who needs total assistance. It is also useful for people who feel anxious or get lonely easily or who have incontinence and cannot do their personal care on their own. NO TWO HOMES ARE EXACTLY ALIKE. OUR CARELink CAREGIVER MATCHING SYSTEM WILL FIND THE IDEAL LIVE IN CAREGIVER IN CONNECTICUT TO BRING INTO THE MOST INTIMATE ENVIRONMENT – YOUR HOME. Unlike nursing homes, 24 hour live in home care provides the most independent option for seniors. With a ratio of one caregiver to one client, seniors are able to function at their own pace, following a schedule of their preferences and choosing their own meals. Avoiding the disorientation of moving to a new facility, elderly adults enjoy living in their own home with 24 hour live in care. Outside the home excursions – parks, houses of worship, going to lunch, recreation areas, senior centers, etc. WHAT IS THE DIFFERENCE BETWEEN 24-HOUR CARE AND LIVE IN CARE? When home care for your loved one i required at all times, you have the option of 24 hour or Live in Care to ensure a caregiver will be there throughout the day and night. Both services are great alternatives to assisted living facilities and nursing homes, as they provide seniors with around-the-clock care, while simultaneously allowing them to remain in the comfort of their own homes. Decide which service is the right one for your family. Client must sleep at least 5 hours continuously throughout the night to provide the live in caregiver a minimum of 5 hours of uninterrupted sleep, and a total of 8 hours of sleep. Overnight live in caregivers will need to be provided a bed in a private room. Live in caregivers must have adequate time for meal periods and personal breaks. WHAT ARE THE OPTIONS FOR HOME CARE? The most popular option, home care, can be given formally by professionals and informally by friends, family and neighbors. 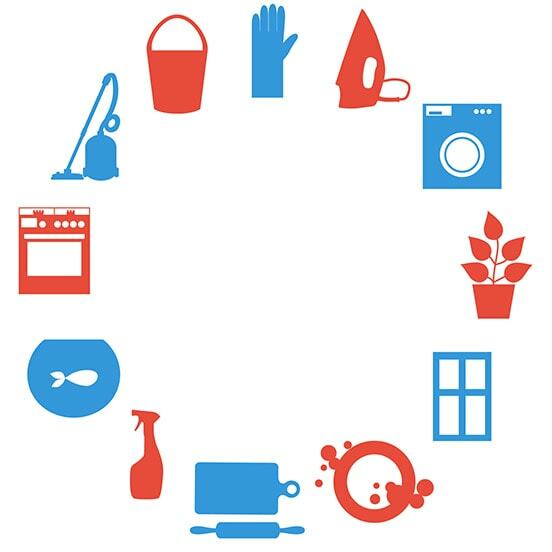 Home care typically includes meal preparation, bill paying, laundry, cleaning, grooming, and incontinence care. Expect to pay between $20-$27/hour for a skilled caregiver. If you believe 24 hour live in care and oversight is needed for you or your loved one, CityCARE Home Health in CT offers a team of dedicated professionals to tailor your home care plan, find the best caregiver through our CARELink Caregiver Matching System, and continuously follow up to improve health outcomes. Older adults seeking companionship and mental stimulation can find it in adult day services, which provide activities and therapy with out-of-home transportation. Hot meals, nursing care and light exercise, as well as art therapy, reminiscence groups, horticultural workshops and other recreations are provided. The average cost is about $65 per day, depending on services offered. In an assisted living facility (ALF), older adults find help with routine tasks, such as grooming, housekeeping, cooking, and taking medication, while having their own full bathrooms and kitchens. Costs vary based on apartment unit size, services offered, and additional fees. The average cost of a one-bedroom in an ALF can range from $3,000 to $15,000 per month (in more expensive places such as Manhattan). Nursing homes have licensed nurses and physicians on-site, available around the clock in order to handle grooming, dressing and incontinence challenges. Memory care communities prevent older adults with Alzheimer’s from wandering.They are the most expensive care option, sometimes reaching $9,000 per month. If your loved one is suffering from dementia or Alzheimer’s disease, finding the correct live in caregiver and home care agency can be challenging. There is no cure for dementia or Alzheimer’s, but a live in caregiver from a quality home care agency can provide loving and compassionate assisted living support. Our approach to dementia and Alzheimer’s care starts with our qualified live in caregivers. CityCARE Home Health in CT provides extensive training and support to all our homemakers and companions, home health aides, and Certified Nursing Assistants (CNAs) working with patients suffering from dementia or Alzheimer’s. We only hire caregivers with extensive experience in dementia and Alzheimer’s care. If you are considering hiring a live in caregiver for a loved one suffering with these conditions and would like to learn more about our approach, please click here. 1. How does the cost of live in care compare to the cost of 24 hour care? A flat daily rate is charged for a live in caregiver arrangement and the caregiver is provided with her own room. Typically, one caregiver is assigned and is allowed an eight-hour sleeping break during the night. The live in caregiver is also allotted a lunch break and several short personal breaks throughout the day. The sleeping and personal breaks leave the senior unattended, and in some situations where seniors need around-the-clock attention, families choose to hire additional care to fill in the gaps. The additional home care is usually charged hourly. For 24 hour care, we charge an hourly rate, as the day is typically divided among at least two caregivers. The caregivers assigned for 24 hour care are required to be alert and awake during the night. A room for the caregiver is required only if the caregiver has the opportunity to sleep. When comparing the two options, 24 hour care tends to be more costly due to the hourly billing. 2. What’s included in live in and 24 hour care? Live in and 24 hour care involves a referred caregiver living in the same home as your loved one. The caregiver is there to assist with activities of daily living, personal care, medical assistance, staying active, and is able to accompany your loved one to any appointments or social outings outside the home. Some caregivers are able to drive your loved one around to these activities (cost can vary based on whose car is being driven). Please tell your CityCARE Home Health representative everything you require a live in or 24 hour caregiver to do, and we will match you with someone that will fulfill all your needs. 3. Is overnight care included in live in and 24 hour care? In a live in care arrangement, typically the caregiver is available for 16 hours and unavailable for 8 hours of sleep. If 24 hour around-the-clock care is required, multiple caregivers would need to be referred to cover an entire 24 hour day and ensure that somebody is awake and alert at all times. 4. Can live in and 24 hour care be used in both, long-term and respite situations? Yes. We pride ourselves on building strong, long-term relationships with our clients and strive to provide only the best caregivers for any type of home care situation, especially a live in arrangement. We also understand that family caregivers sometimes need a much needed break or have other family obligations that they need to attend to. CityCARE Home Health can provide your family with a short-term care solution for both, live in and 24 hour care arrangements. 5. Can live in caregivers provide service in assisted living facilities and nursing homes? Yes! We can refer a caregiver to help wherever your loved one resides. We have caregivers with experience inside many of Connecticut’s assisted living facilities and nursing homes. When you hire a caregiver to assist your loved one inside one of these facilities, you can be reassured that they are receiving the care they need, and are provided with personal attention regardless of their living situation.